In honor of Window Covering Safety month, our goal this month is to increase awareness of window covering hazards to improve the safety of children and pets. This month is dedicated to a very serious issue and most people would rather ignore the harsh truth than confront it. 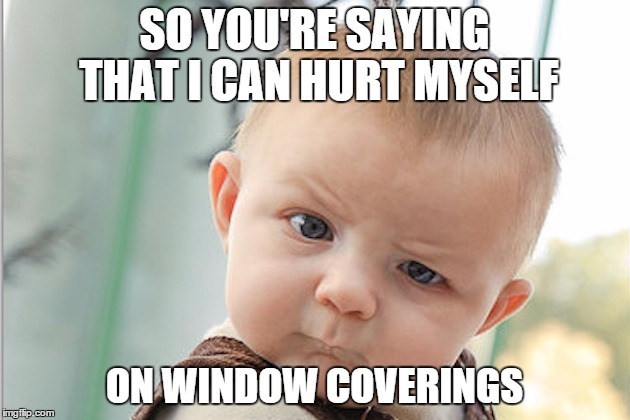 We hope that humor will be the best way to get the message out to your family about child safe window coverings. 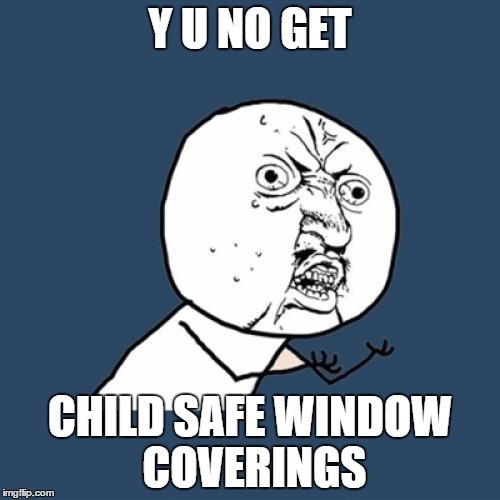 Please share these memes to your social media channels to help increase awareness of Window Covering Safety for children and pets. 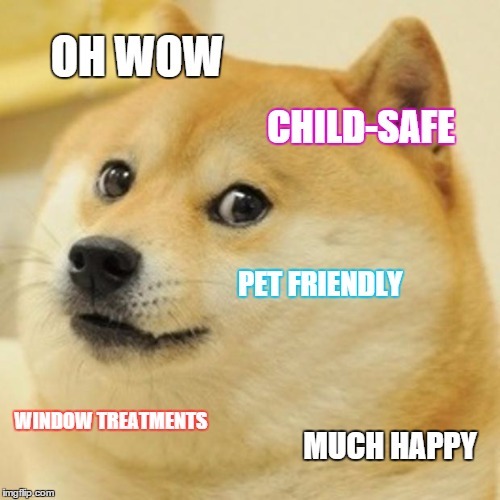 At 3 Blind Mice, we decided to spread awareness by creating fun, shareable memes so people will want to talk about Window Covering Safety month, instead of shy away from it. Enjoy and please share! Cord controlled window treatments can be hazardous to your children and pets. Most people aren’t even aware of the danger in their home, hiding right in front of their eyes. 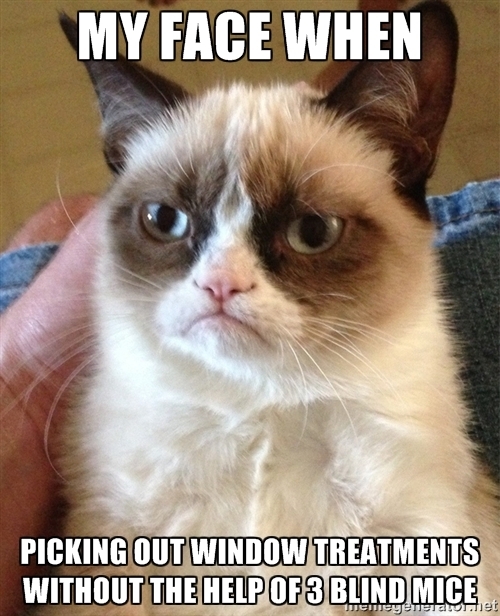 Cord controlled window treatments can be hazardous to child and pets. Next time you’re home, take an extra look around for any dangling cords and assess the possible dangers. 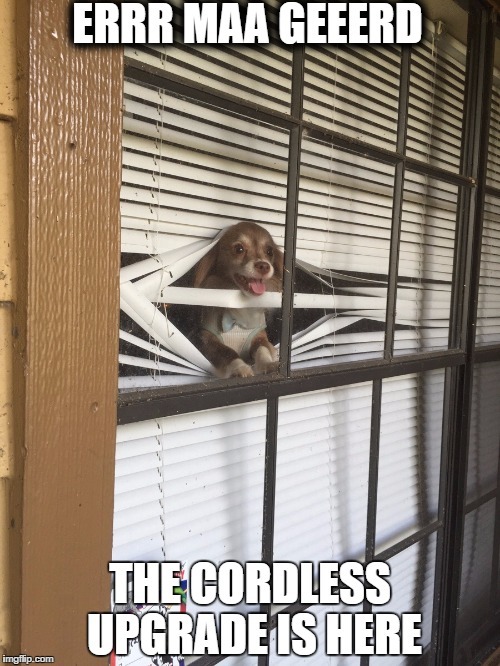 Dog is man’s best friend, make cordless window coverings your home’s best friend. Everybody loves the big huge smile and happy licks you get from your pet when you walk in the door. Family pets livin’ up the party and always keep your spirits up. By going cordless you keep your pets carefree happy and full of life. 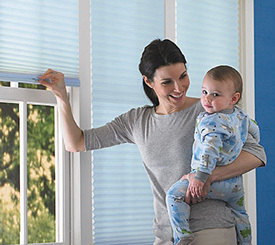 #Gocordless and upgrade your window treatments to increase your child’s safety. As parents, your child’s safety is always on your mind and your home is the best place to keep them safe. Most people think things will never happen to them. 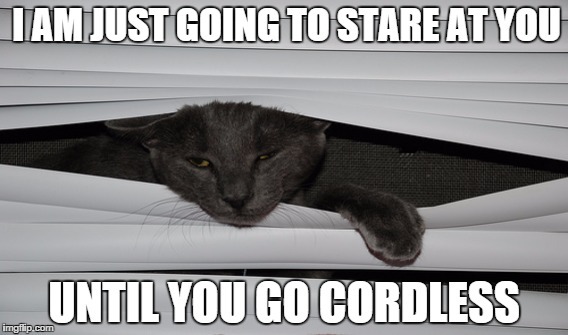 Make sure no cord related injuries happen to your family and upgrade your window treatments by going cordless. Cut out the annoying worry of window cords. They’re always hanging around and constantly taking you on an emotional roller coaster with their emotional ups and downs. Cut the cord and live a carefree life without the worry of being tied down in a one-sided relationship. Tangled up with all the possibilities when it comes to upgrading your window treatments? At 3 Blind Mice, we want nothing more than to make upgrading to cordless a smooth and easy process. Don’t let the cat catch us mice! Help us out by spreading awareness of Window Covering Safety month and influence people to upgrade their window treatments by going cordless! 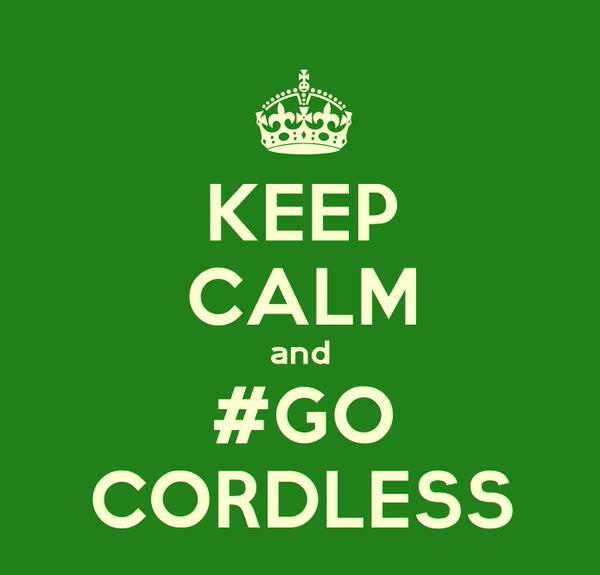 Stay safe, worry less, #gocordless. Before you know it, you’re going to have your nose pressed against the window, smiling with joy because your cordless upgrade has arrived! Spread Awareness of Window Covering Safety! Window Covering Safety month is a serious matter. Whether it be your children or pets, everyone’s family should feel safe at home. Stop worrying about the safety of your home. Make it easy on yourself and #GoCordless. 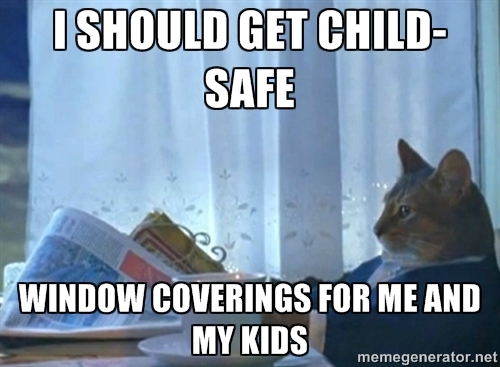 We hope you lolled a few times at our memes devoted to child and pet safety. Corded window coverings can be avoided and replaced with motorized blinds and shades, roller shades, or other types wood blinds that do not have hazards parts for children. If you would like to learn more about keeping your children and pets safe when it comes to your window coverings, download our guide on child safe window treatments.